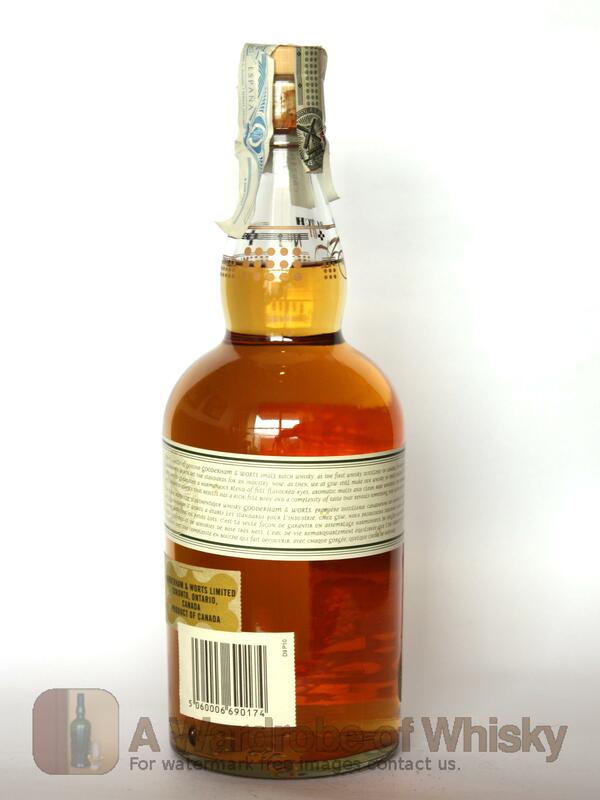 A blend of old malts and robust ryes married together in a truly classic Canadian whisky. This is a sophisticated spirit with an alluring bouquet and complex array of fresh, delicious flavors. 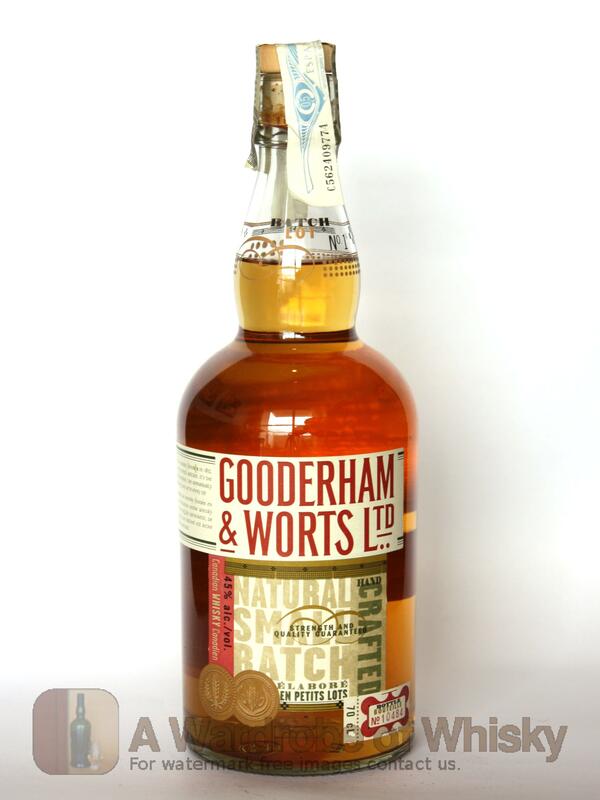 The name, Gooderham & Worts, is a tribute to Canada’s first licensed distillery built in 1832. Nose (84): inexistent. sweet, alcohol, peaches, wood, vanilla, spices, a little tobacco, grain. First nosing data is innacurate as the previous tasting sheet lacked of this field. Taste (92): . sweet, honey, wood, grain, vanilla, spices, fruity. Bouquet data is innacurate as the previous tasting sheet lacked of this field. Finish (84): no finish. candies, wood, grain, spices. Finish length is innacurate as the previous tasting sheet lacked of this field. These bottles have been chosen over others because their nose, taste and finish are more similar to Gooderham & Worts than the rest. Go to Whisky-o-matic page to fine tuning other settings.